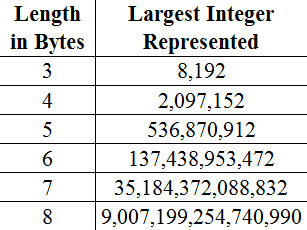 ​Variable Length is the number of bytes assigned to a variable. 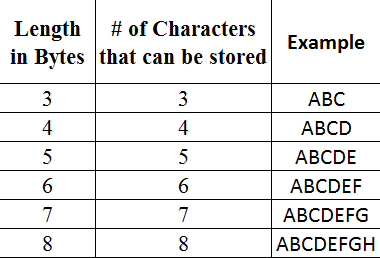 One byte generally contains 8 bits, which is the minimum storage capable of holding a single character on your computer. If you aren't familiar with the concept of byte, please review the details here. Variable Length is the memory allocated to the variable. Insufficient length will cause data loss, which is a huge problem that you must avoid. 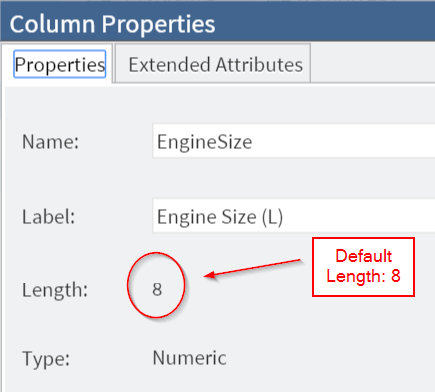 The default length assigned to a numeric variable is 8. The length of 8 is sufficient to capture up to approximately 15 decimal digits with full precision. The largest number you can capture is 9,007,199,254,740,992. 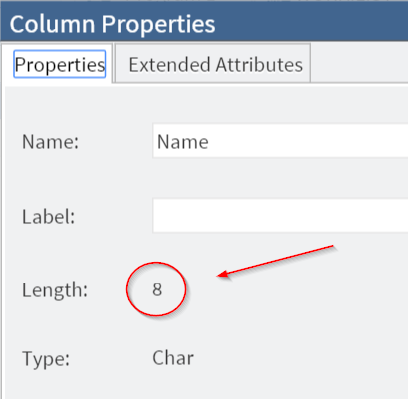 In general, having the length of 8 will be sufficient to handle the majority of your numeric data. Character variable is another story. The default length is 8 when the variable is created using the Input statement. ​However, the length of 8 can only capture up to 8 characters. Data will be truncated if the value is more than 8-character long. All the names with more than 8 characters got cut off. This is a huge problem because you would potentially lose tons of data due to insufficient length! When data truncation happens, simply use the Length statement to assign a new length to the variable. 1. A dollar sign ($) is added before the number 15. This is needed when adjusting the length of a character variable. The initial length assigned to a character variable varies based on how the variable is created. The length could be different than 8 when the variable is created by functions instead of the Input statement. 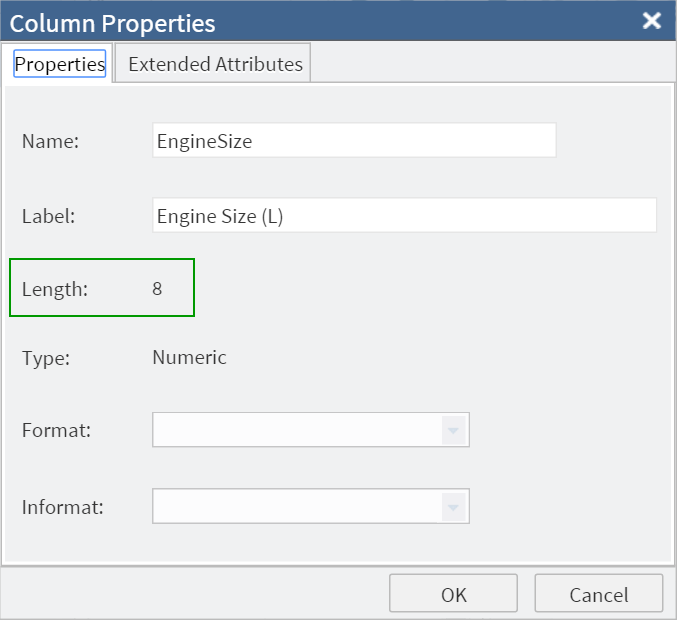 Ensure sufficient length for character variable is absolutely crucial when managing data in SAS. 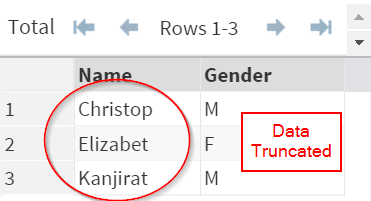 Use the Input and Datalines method to create a data set that contains the data above. Ensure sufficient length is assigned to the variables.